Congratulations to our Ottawa location for Winning CFA'S Franchise of the Year! 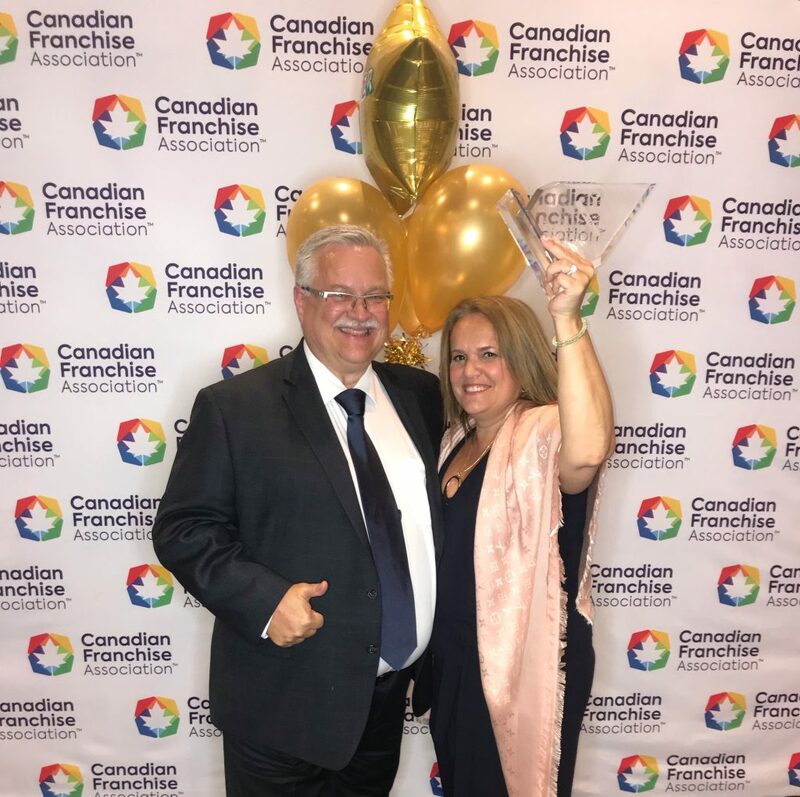 Congratulations to Franchisees, Paul Bimm and Lyne Vincent from TWO MEN AND A TRUCK® ,Ottawa, for winning the Franchise of the Year Award 2019 at the Canadian Franchise Association Gala Award Ceremony! Paul and Lyne bought “hearts” with every move that they executed during February at $5.00 per unit, from a local business, ‘Vincent’. 133 in total.This raised funds for the University of Ottawa Heart Institute. The Mikey Network, is TWO MEN AND A TRUCK® Canada’s charity of choice. Lyne Vincent, donated a MIKEY defibrillator to Jennifer Clark, Christopher Adam, and David MacKay, at the St. Joe’s Women’s Centre, Ottawa. Ottawa – Gatineau Tornado Relief: On Social Media, Paul and Lyne offered free moving services to anyone that was affected by the tornado. They had one crew of 2-3 movers and a truck on standby, to help out daily for one month. By the end of the month, they picked up or delivered donations to 2 Ottawa food banks, and made 6 moves to new homes or storage. THE SHOEBOX PROJECT Ottawa: TWO MEN AND A TRUCK®, Ottawa partnered with THE SHOEBOX PROJECT Ottawa. They provided transport for their 2018 Holiday drive. Franchisee, Lyne Vincent and Fleet manager Cory Hunter collected nearly 3000 shoeboxes at 20 participating locations in two days. The shoeboxes were distributed to women impacted by homeless in their community, just in time for the Holidays. Thank you Paul and Lyne, for exemplifying our Core Value “Give Back” The time, initiative, and consideration you both took during 2018 is commendable. We know you do these things out of kindness but it is great that your deeds have been recognized by the Canadian Franchise Association. Congratulations on a well-deserved CFA Franchise of the Year Award for 2019!